Thursday November 17th 2016, 12:00h to 13:00h. Each of the MOOC initials (Massive Open Online Courses) involves a challenge for offering support to learners. They are massive, hence the tutor/learner ratio requires different interventions to those in smaller and paid courses. They are open, which makes it challenging for persuading departments to allocate budgets for supporting non-enrolled learners. They are online, which requires support strategies, nearly always asynchronous, the impact of which is very different to those in face-to- face settings. Finally they are courses, that is, events with starting and end dates in which mentors need to guide learners in a journey from which it is too easy to get lost. MOOC platforms affordances usually promote learner independence in order to reduce dependence on instructors. Also, they often include tools for instructors to support learners, including learner monitoring tools. However, these tools have often limited features. 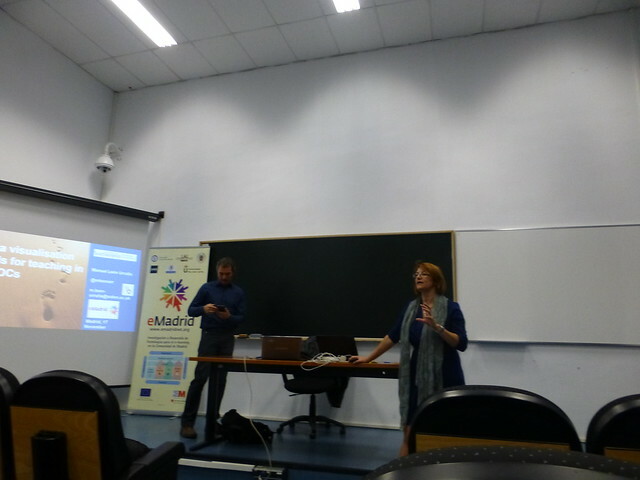 Some independent projects have addressed these limitations, such as UAM’s and University of Southampton’s MOOC Dashboards. The impact of these tools in instructors’ practices is still to be determined. In this talk, Manuel Leon will present the Southampton MOOC Dashboard, a supplementary tool to the FutureLearn Dashboard, and will share preliminary impressions on how mentors are using the tool.